(W) Dan Slott (A) Skottie Young & Various (CA) Esad Ribic FOUREVER Part One BECAUSE YOU DEMANDED IT - THE WORLD'S GREATEST COMIC MAGAZINE IS BACK! 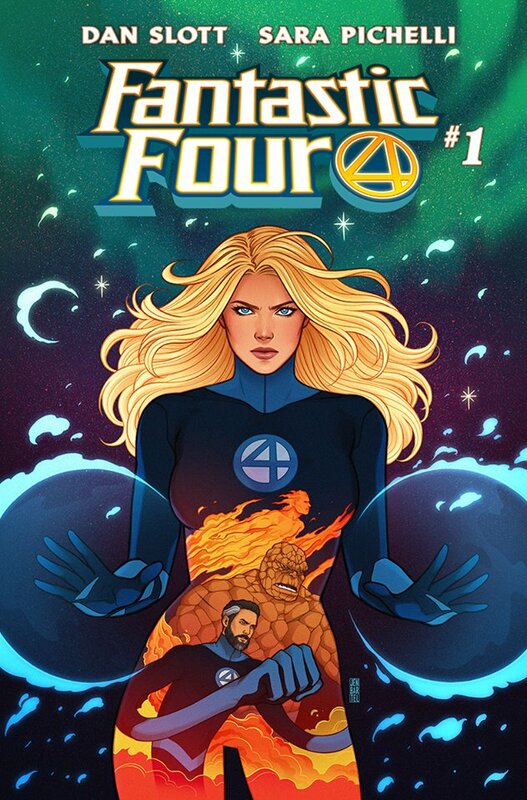 Since the end of SECRET WARS, there's been a gap in the Marvel Universe. A void no other team can fill. And it's time for the world to move on. But can it? A life-changing decision by the Thing! A momentous declaration by the Human Torch! A clarion call-to-arms that summons Doctor Doom! And a signal in the sky that heralds the return of hope to the Marvel Universe! All this, and Alicia Masters adopts kittens! So cute! Plus, the Impossible Man! AND BONUS STORIES ILLUSTRATED BY SIMONE BIANCHI AND SKOTTIE YOUNG! 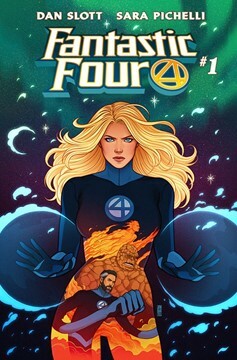 IF YOU READ ONLY ONE MARVEL COMIC THIS MONTH, THIS IS THE ONE! Rated T.